Join us on Thursday, June 7th at 9pm for a benefit show at the Lexington Avenue Brewery. 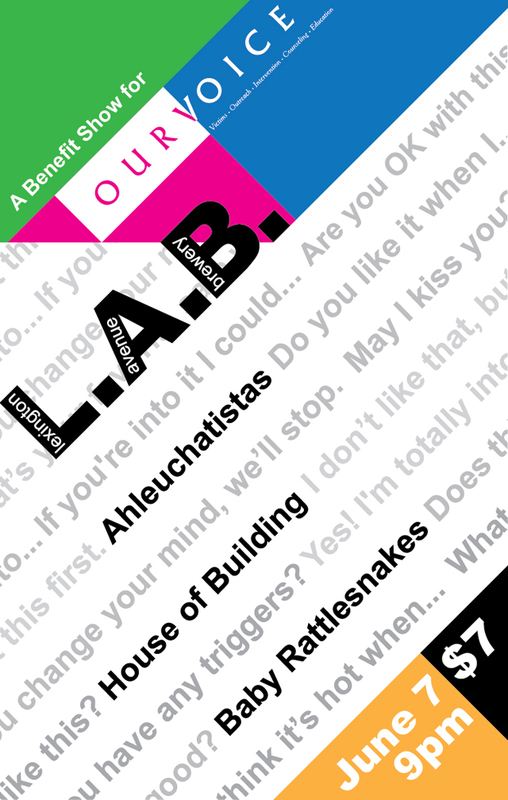 Bands include Ahleuchatistas, House of Building, and Baby Rattlesnakes. $7 at the door. All proceeds come to Our VOICE.